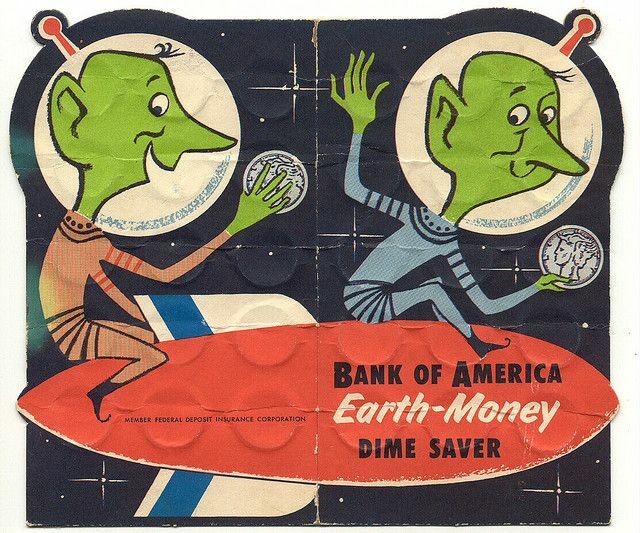 Do you remember bank coin savers? Are these still around? 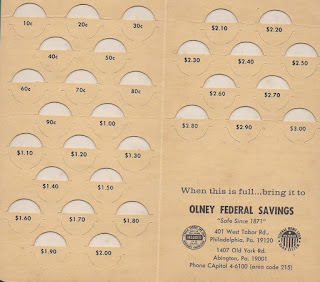 When I was growing up, children were given these little folders at the bank - and sometimes even special programs at school. The covers were usually cute, like the outer space motif seen above. The goal was to save coins (usually dimes or quarters) in a little book, and then take it to the bank to deposit when it was full. I loved the way this made saving money fun ... so it evidently was a good idea! Do you remember these coin saver books? I'd love to hear from you in the comments, below. 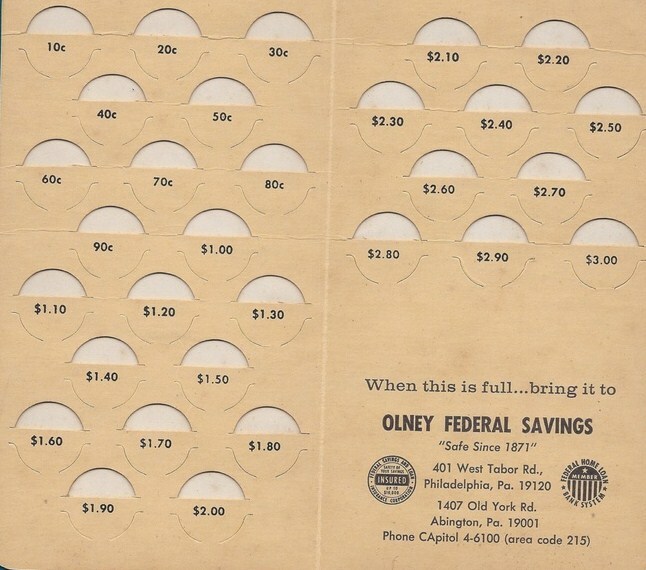 We had these but never completely filled them. Yes!!! Wow, you brought me back to childhood. I used to have tons of these! Trish, you've finally stumped me. I don't remember these Coin Savers...well, not exactly. My children had them -- for collecting all of the Euro quarters when Europe first went to the Euro. They were meant, however, for creating collections and not for taking to the bank or spending. Thanks for your comments! Brenda, I know those coin savers and have seen them on display in a local mall coin shop. 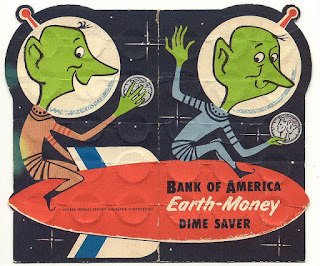 These were little bitty folders, maybe 4" x 5" and they were given out with bank insignia on the packaging.